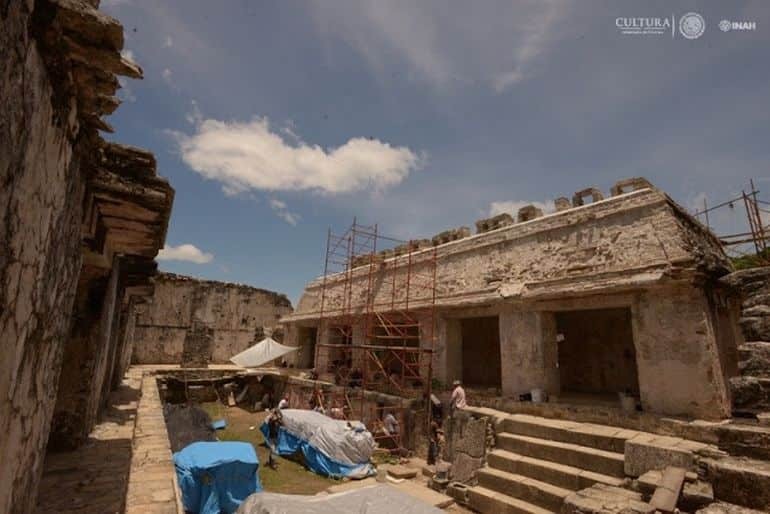 Back in 2016, the renowned Mayan complex of Palenque (located in modern-day Chiapas, Mexico) revealed its network of underground channels ‘hidden’ beneath the Temple of the Inscriptions – the largest known monument at the site. This time around, the discoveries deviate from the mysterious architectural features to a possibly known cultural scope. 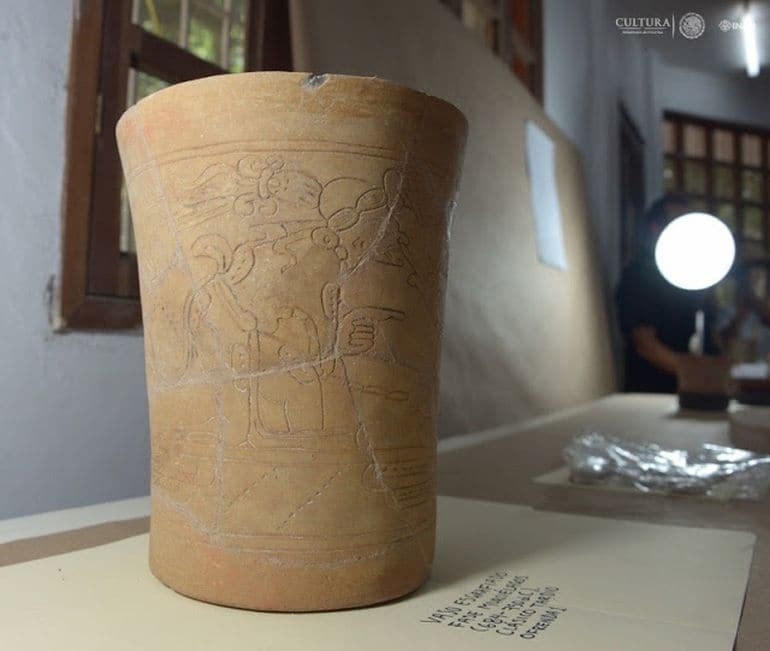 To that end, researchers at the National Anthropology and History Institute (INAH), during their routine excavations at Palenque, have come across a wealth of archaeological treasures, including what might be the death mask of the Mayan ruler Pakal. The discovery of the death mask was made by the foundations of House E, which is considered as an important complex – thus pertaining to one of the major landmarks on the site. 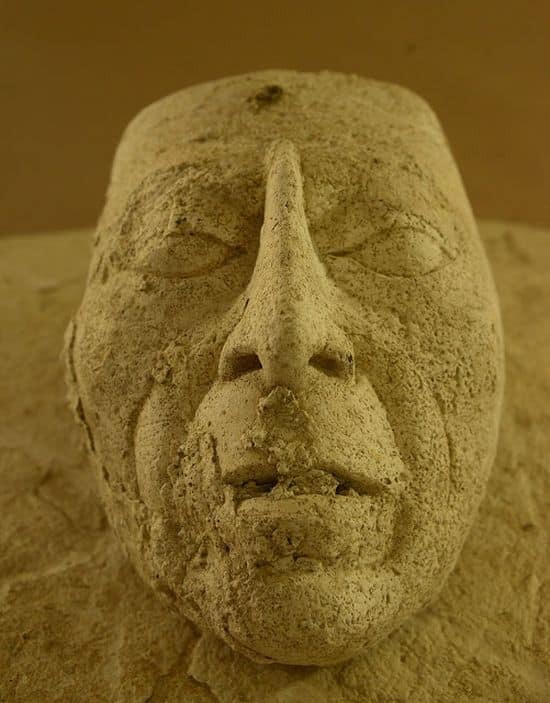 According to the archaeologists, headed by Arnoldo González Cruz, their finds, including the stucco mask, comprise a range of ritual offerings, like ceramic figurines, pots, fragments from jadeite, mother of pearl, and obsidian, and carved bones and pieces from various animals. 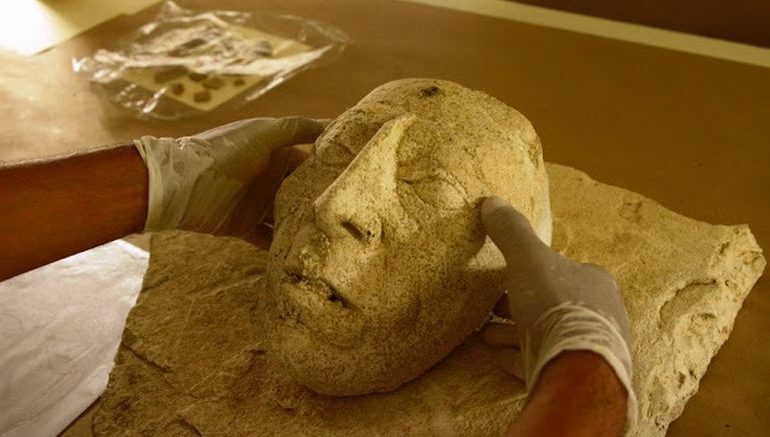 Reverting to the death mask in question, the researchers noted the wrinkles and the prominent upper lip – features that are associated with Pakal, the wealthy Mayan ruler, who ruled for around 68 years (circa 615 – 683 AD). Interestingly enough, the archaeologists also came across a rare discovery inside House E in the form of a ‘nose plug’ – an object that has never been found before in the Mayan lands and even the entirety of Mesoamerica. Now from the popular perspective, Palenque (and for that matter Pakal) was made famous to some degree by author Erich von Daniken, who conjectured in his book “Chariots of the Gods?” that Pakal’s posture in the engraving on the stone sarcophagus lid (pictured below) resembled the position of astronauts surrounded by advanced paraphernalia. And while this wild inference has been debunked, the aforementioned Temple of the Inscriptions has still held on to its fair share of secrets.